Please Consider Giving A Financial Contribution to POEM BY CLICKING HERE. 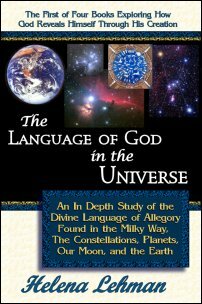 Click the cover to learn more about “The Language of God in the Universe,” Showing the Symbolic and Prophetic Meanings Hidden in Every Aspect of God’s Creation, With a Special Emphasis on the Gospel in the Stars. Click the cover to learn more about “The Language of God in Humanity”, Showing the Meaning of Old Testament Feasts, Rituals, Symbols, and Architecture, Yahshua’s Parables, Symbolic Rites, and Their Connection to the Gospel in the Stars. 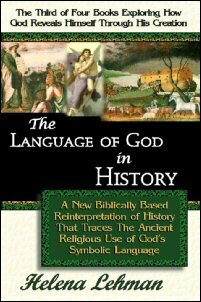 Click the cover to learn more about “The Language of God in History”, Exploring the Pre Flood World of the Sethites, Archeoastronomy, the Great Flood, Biblical World History, and God’s Promises to Abraham and Israel. 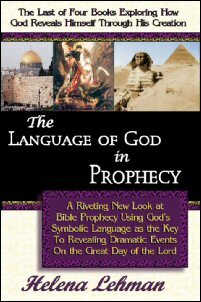 Click the cover to learn more about “The Language of God in Prophecy”, Which Exhaustively Explores End Time Eschatology and Bible Prophecy, with Illustrations Showing the Biblical and Prophetic Meaning the Gospel in the Stars, the Great Pyramid and the Great Sphinx. NOTE: To read the PDF excerpts on this site, allow pop-ups, and install Adobe PDF Reader. Recently, Helena’s LOG Series Books became available for Kindle E-Readers at Amazon.com. CLICK HERE To Visit Helena’s Author Page At Amazon To Purchase New Editions of ALL Books in Paperback and Kindle Format. JONAH WARNING OF IMPENDING JUDGMENT! Bible Studies By Helena Lehman! And To Access More Sermon & Article Teaching Links! 1. Is There A Rapture? 2. Is Barack Obama the Antichrist? The “Prince Who Is To Come”? 4. What are the Two Beasts of Revelation 13? 5. Is the Great Pyramid at Giza A Godly or Satanic Monument? & 2015 A Sure Sign From God? If you are a seeker of Judeo-Christian spiritual truths and are curious about ancient history as well as future prophecies concerning the Signs in the Heavens that are tied to Bible Prophecy, Old Testament symbolism and the Sacred Astronomy of the Sethites, the well-researched, non-fiction Language of God Book Series by Messianic Bible Scholar Helena Lehman, and the multitude of free resources available on this web site offer incredible opportunities for spiritual growth and knowledge expansion, but at a huge personal cost to Helena, whose unique and compelling theological and historical views, and prophetic perspective have set her apart from her peers, and ostracized her from mainstream acceptance. But for those willing to question the mainstream bible prophecy schools, there is much here that can inspire and challenge you. Helena’s four thick, illustrated and fully indexed books are the true focal point of her ministry, and they required much effort with little earthly reward for her to singlehandedly produce. For this reason, Helena needs the support of those who benefit from reading her material. You can support her work by sending a tax deductable cash gift, or purchasing her “Language of God” Series Books, which are available for purchase on this web site in several different formats. Recently, Helena’s book also became available on Kindle at Amazon.com. Click the text link in the preceding sentence to access Helena’s page at Amazon. Each book exhaustively explores one aspect of the biblical, allegorical Language of God that is found in the prophetic imagery of Bible prophecies, rituals and events. It also explores evidence for this same divinely-designed Language of Bible symbolism in the Universe, in the Stars, on the Earth, in sacred monuments such as Solomon’s Temple, the Great Pyramid, the Great Sphinx, and the Desert Tabernacle, and in each human being - every one of which serves as a living parable. All four volumes in The Language of God Non-Fiction Book Series are now in print and many excerpts of these books have been made available free online in anticipation of the Rapture. These books contain over 2500 pages of heavily researched information that expertly combine knowledge from many academic and theological disciplines. These non-fiction books and the planned Pillar of Enoch Fiction Trilogy, which Helena hopes to write someday, explore Biblical heroes, events, and symbols, and their connection to the teachings of the prophet Enoch, the Pre-Flood Messenger of God who has often been incorrectly called Thoth or Hermes. This Enoch, who was seventh patriarch in the line of Seth (not Cain! ), fully understood the Heavenly Tablets, Sacred Astronomy, and the Gospel in the Stars. This is how Enoch the Sethite learned to walk so closely with Yahweh God and understood the Language of God that is locked into the magnificent design of Yahweh’s Creation. In fact, though many believers in Christ are woefully not aware of it, Enoch was a great Theologian and Messianic Prophet. If you are curious to know the rich, multi-layered meanings behind the symbolism used throughout the Bible, or you are seeking to know more about the Rapture, Tribulation, and Millennial Kingdom of Christ, you have also come to the right place. There are many articles linked to on this page and on the Ministry's Free Articles Page that can help you to understand Yahweh God’s language, which is the key to unlocking the mysteries of Bible Prophecy. Helena has provided numerous free articles and book excerpt links in the large link box near the top of this page, and in the right column of this page. The “Language of God” book excerpts can be found below the button links in the left hand column on the Ministry's Free Articles Page on this web site, and at the bottom of each book’s main page. To get the most out of this site, you may want to read the articles and excerpts in the top link box and right column of this main page. But keep in mind that these articles are meant to be read within the context of Helena’s “Language of God Book Series”. CLICK HERE to explore and purchase “The Language of God Book Series”. These resources have been provided so that Helena’s research can be utilized by all the saints, especially those without the means to pay for resources and those who must live through the Tribulation. These materials can be used to help new believers become fully equipped to serve God and to become approved workers in the Millennial Kingdom of Yahshua (a.k.a. Jesus). While taking advantage of Helena’s research and teachings, please consider giving a financial gift or purchasing the digital or paperback versions of “The Language of God Book Series” or books on CD to keep POEM on the web until the Rapture. These books and the ministry Helena has created around them have taken all of her time and funds, and she could not have continued this ministry without the generosity of people like you. Also consider keeping POEM and Helena Lehman in your prayers, as she is constantly under attack for her strong witness for Christ. 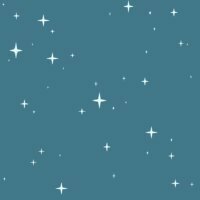 In addition to examining the symbolism behind the allegorical Language of God used in some of the more mysterious prophetic passages of the Bible, this site explores the message of the Pillar of Enoch or Great Pyramid and its connection to the Pre-Flood Sethites (especially Enoch), to the Gospel in the Stars (i.e. Sethite, or Sacred Astronomy), to the constellation Orion, and to the Desert Tabernacle and Temple of Solomon. Here, in “The Language of God Book Series”, you will learn how to find and decipher God’s hidden language, and you will see how the antediluvian Sethite descendents of Enoch down through Abraham and Jacob understood Sacred Astronomy - and through it - knew of and loved God the Father and His Son long before the Bible was written, and the Messiah that they longed for was born. You will also see how the symbolism in the Gospel in the Stars permeates almost all biblical prophecies, and can greatly help in deciphering the meaning of prophetic books like Daniel, Ezekiel, and Revelation. Helena’s book research on the prophecies in the Hallel Psalms (Psalms 110 thru 118), Daniel, Ezekiel, Revelation, and the Book of 1 Enoch are all in agreement that there is likely going to be a Rapture sometime soon (perhaps in 2014 or 2015), followed by a time of world evangelization by the 144,000 and Two Witnesses of Revelation. Their preaching will be concurrent with the persecution of believers around the world by a coming world dictator identified in the Bible as the Antichrist. This world leader will not only hate God’s people but will eventually declare himself to be God. Helena’s research also hints that there may be a second Rapture near to the close of the Great Tribulation at the Seventh Trumpet Judgment, after which the 7 bowls of God’s Wrath will be poured out on the Earth. Then Yahshua (Jesus) will return to conquer the wicked in the Battle of Armageddon, which could begin as early as 2016. After this, Yahshua will set up His Millennial Kingdom on Earth with the help of His redeemed and resurrected saints. However, please keep in mind that these are not prophetic dates. These are speculations only, and only Yahweh God truly knows how and when the Tribulation, Rapture, and Millennium will unfold. Helena’s books carefully explain how the Language of God was understood and applied in writings such as the Book of Enoch, in the Books of Jasher and Jubilees, in the ancient Zodiac, in Blood Covenant ceremonies, and in later ritual observances that draw from one another. These include Christmas, which is connected to the Feasts of Chanukah and Sukkot, and Easter, which is connected to Pesach or Passover and the Feast of Unleavened Bread. 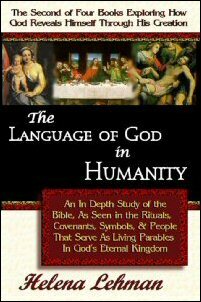 In particular, Book Two - “The Language of God in Humanity” shows how Yahshua’s (i.e. Jesus’) First and Second Advent roles are connected to Passover and the Feast of Tabernacles, and how all nine Feasts of Israel reveal prophetic glimpses into the path and purpose of salvation and discipleship, clarify events in the End Times, point to Yahshua’s Second Coming, and promise the literal earthly establishment of the Kingdom of God via God’s Grace and Spirit rather than self-directed good works during Christ’s Millennial Rule, and throughout eternity. May Adonai Yahshua Reign And Rule Forever! NEWS FLASH FROM HELENA LEHMAN: Did you know that the Tribulation already started, and we are already almost half way into it? I’m not open for discussion on this because it’s based on the Signs in the Heavens, not man’s opinion. I trust the Signs in the Heavens because God put them there, men can’t alter them, and the signs between 2008 and 2019 are absolutely indicative that we are in the Tribulation now, and that the Church better wake up to it because Yahshua is coming very, very soon! For more information, please see Helena’s “2013 Tribulation Timeline”, and read Helena’s article: “The Case For A Mid-Tribulation Rapture In 2014” linked to here and posted near to the top of this web page. Below are links to some of the most spiritually deep Bible studies of Messianic Minister Helena Lehman. These are geared to lead believers to know Yahweh God, His Son Yahshua, and the Holy Spirit more intimately, and with a better understanding of their relationship to God in Christ. Helena’s hope as a teacher of the Way of Yahweh is that these articles will lead all who read them to a true state of salvation, repentance, love and commitment to our Messiah Yahshua and Our Heavenly Father. But be warned! These are teachings that lukewarm believers will resist due to their love of sin and the world. ISRAEL BELONGS TO NATURAL AND GRAFTED IN ISRAELITES, NOT JUST THE JEWS! WHAT COMMANDMENTS MUST BELIEVERS KEEP UNDER THE NEW COVENANT OF GRACE? THE BRIDE OF CHRIST ESCAPES THE HOUR OF TRIAL!!! UNMISTAKABLE SIGNS THAT CHRIST IS COMING SOON! HEAR THE SHOFAR BLASTS AND SEE THE WAR IN HEAVEN! BELIEVERS CAN BE CURSED, SO LEARN TO PROTECT YOURSELF! Have an idea or comment that you would like to share with this ministry? where you can share comments and make inquiries. In this article-style book excerpt from “The Language of God in Humanity”, Helena explains what Yahshua meant when He said that the only sign He would give was the “Sign of Jonah.” This excerpt carefully analyzes Jonah’s story to show that - just as Yahweh called Jonah to love the Ninevites he hated - God still wants all Jewish and Gentile Israel to love their enemies and bless those who persecute them. Links to many essays on this site, and to other web sites containing bible-affirming historical information can be found on the Study Links page. Links to a variety of Christian and Messianic web sites covering many topics can be found through the Bible Study Resources page. In Internet Explorer and Mozilla Firefox: On the Menu bar, click on “View” and select “Zoom” and use the drop down menu there to select the option you want to use to increase the font size. In Google Chrome, there is a wrench symbol to the far right that opens a drop down menu when clicked on that has the same Zoom feature. If you are reading a PDF document in Adobe Acrobat Reader, you can increase the page magnification to suit your eyes in the percentage window at the top of Adobe Reader and you can also adjust the size of the reader window to accommodate the larger document text. To give a gift, please mail a money order, personal or bank check made payable to The Pillar of Enoch Ministry or to Helena Lehman using our ministry address, which can be found by CLICKING HERE. All text and graphics on this web site are © copyrighted. written permission from this ministry.